These are two guys you don’t want to pick against, but I’m going to have to pick against Matt Brown here. We’ve all learned not to count Matt Brown out of any fight by now, but Robbie Lawler is just another level of opposition. Brown is on a very impressive seven-fight win streak, but has yet to beat a top 10 opponent. Lawler, on the other hand, has beaten a majority of the top guys at Welterweight. Brown is impeccably tough with an outstanding gas tank, his style wears down opponents and eventually breaks them. In order to beat Lawler, Brown needs to keep the fight in clinch range where he does his best work, this will also keep Lawler from opening up with kicks. If Brown can keep Lawler working early on in close range, he could wear him out and look to win this fight in the championship rounds. I am, however, a bit wary about Brown’s gas tank due to the fact that he missed weight by a pound and a half. As for Lawler, keeping the fight at a distance and opening Brown up with kicks like we’ve seen him do in recent fights is his best move. Lawler, in my opinion, is better at managing distance and will be able to dictate what range this fight takes place at. 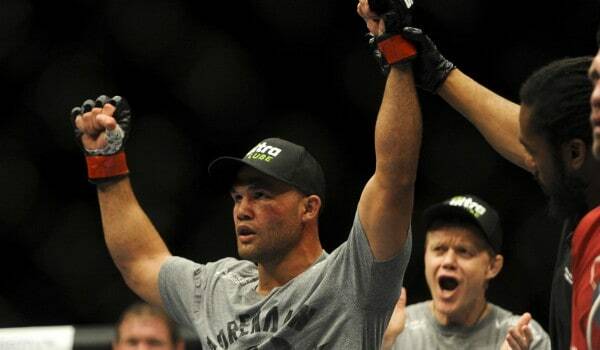 I also believe Lawler to be the physically stronger and more powerful fighter here. Matt Brown has shown one real weakness in his recent fights and that is leaving the body open. He has been visibly hurt and knocked down multiple times due to a body shot, if Lawler is able to land that body shot he will finish unlike Brown’s previous opponents. After shutting down Phil Davis, Anthony Johnson shouldn’t have much trouble with “Lil Nog.” Nogueira may be a much different type of fighter, but his style makes for a much easier match up than Phil Davis was. Johnson just needs to do what he always does to find the victory. Basically, that is mix things up with punches and kicks and keep forward pressure to land that big shot. The only way I see Nogueira winning here is if he uses his footwork to create angles and uses straight punches to keep Johnson at bay and technically out-box him, which I don’t see happening. Johnson should come away with a win here. While there’s always a chance of a big knockout when it comes to “Rumble,” Nogueira has only been finished once in his 13 year professional MMA career so a decision is very likely. This should be a fun one and is my personal pick for “Fight of the Night.” Guida is very well-rounded fighter, but his biggest weapon has always been the pace he keeps. To beat Bermudez, Guida needs to push the pace and use his speed and angles to land and keep Bermudez at bay. Bermudez needs to employ a similar strategy to Chad Mendes against Guida. That strategy is to keep Guida on his heels by mixing up the striking and the takedowns. This will be one of Bermudez’s toughest tests to date, but I believe he’s just a little better than Guida everywhere right now and should be able to find his seventh straight UFC victory. This is a huge opportunity for Bobby Green who filled in for Michael Johnson on two weeks notice. If Green can beat Thomson he will have quietly amassed an eight-fight win streak and is automatically in the Lightweight title picture. Green is a heavy-handed striker, who is also very capable on the ground, but I can’t see where he can out-match Thomson. Thomson is a good striker who likes to mix up kicks to find openings, which will keep Green at bay and make it hard for him to land heavy strikes. Thomson is also the better fighter on the ground and should be able to find the takedown and work from the ground to look for a submission finish. Thomson is one of the very best at Lightweight, I favor his veteran experience and overall skill-set here.